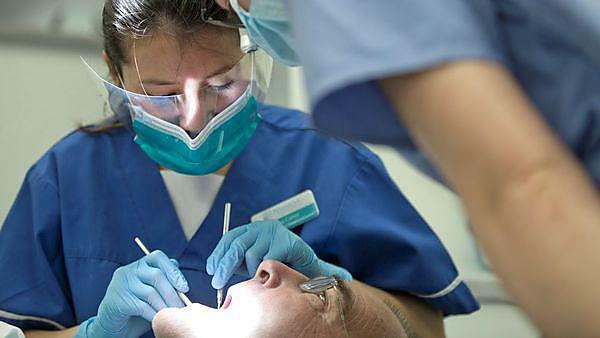 The strengths of our University and NHS partners combine to deliver the most exciting and innovative undergraduate dental therapy and hygiene degree. This programme is carefully structured to ensure that as a dental therapy graduate, you will possess the knowledge, skills and attitudes required for safe practice preparing you for direct access and entry into your first clinical role. Core knowledge and understanding is acquired via small group study of enquiry‑based learning sessions, plenaries, clinical sessions and workshops. More advanced knowledge and understanding is obtained by independent study, computer aided learning and group/team work. You are expected to undertake independent study and demonstrate increasing independence in your learning as the programme progresses. Effective teamwork is essential to the efficient delivery of dental care. Most of your learning will take place in small groups, which will prepare you for working in a multi-professional team. Time for independent study is built into the timetable enabling you to take advantage of the wide array of resources available to support your learning. Four main teaching themes are vertically and horizontally integrated across the programme. Your learning is supported by the use of study guides through enquiry based learning sessions. These guides develop your knowledge of oral health and oral disease and its causes by working through patient scenarios. These sessions take place in a highly supported, blended learning environment incorporating e-learning, plenaries, workshops, tutorials and self-directed learning. Whether you are at the main teaching centre at the University of Plymouth or engaged in clinical practice at one of the Dental Education Facilities across the south west of the peninsula, there are extensive e-learning, library and other facilities which include videos, CDs, DVDs, books, publications, access to electronic journals and facilities for telematic conferencing. You'll cover the aspects of normal structure, function and behaviour and the scientific basis of these. In Year 2 you build on your foundations with common dental problems. Year 3 of the programme is devoted to furthering your clinical experience and is the final preparation for dental practice.